Send an image, note or voice reminder to your inbox with one click. "Braintoss exploits the same principle as leaving something on the doormat if you want to take it to the office: identify the bottleneck in your life where things already do receive your attention, then put what really matters there." 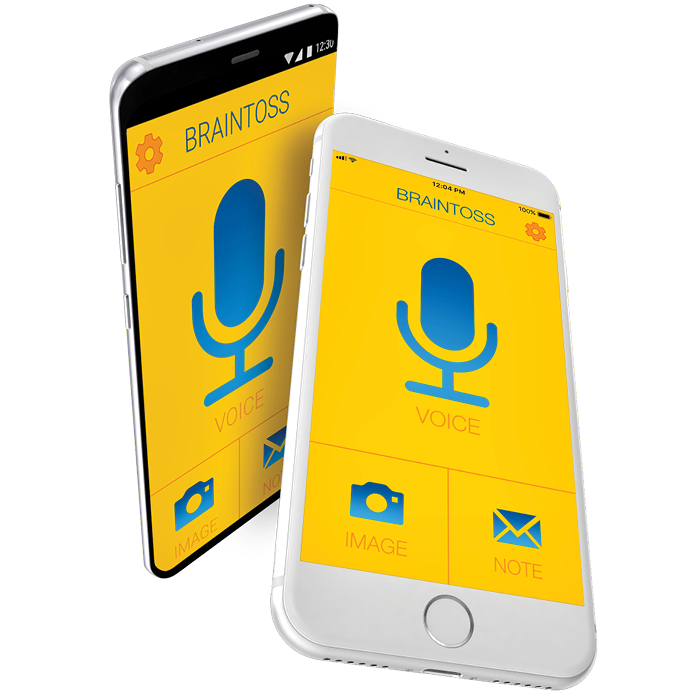 "Braintoss is an amazing app… it is in my Dock because I use it all the time. I use it in combination with my OmniFocus email address to send myself tasks faster than I can do with the OmniFocus app. You only need to set the email address once and Braintoss will do the rest for you. It even transcribes audio!" "At last something I actually use to remember those ideas or suggested films and books. Two touches and it is in your inbox and you can happily forget. Happy forgetting is the best!" "Too bad I can't take it with me under the shower, that's where I have my best epiphanies!" "This app is awesome. I use it for capturing thoughts quickly on the go. It is a much more reliable ubiquitous capture tool than Siri."